Will OPD End Up in Receivership? A federal judge could begin the process of taking over the police department this month. Court monitors say police have made almost no progress in the past two years. The aftermath of the Riders police corruption scandal in Oakland, which broke more than a decade ago, has lasted through four police chiefs, three mayors, and four city administrators. A federal consent decree imposed by US District Court Judge Thelton Henderson on OPD in 2003 was originally set to end in 2008. Henderson extended the deadline until 2014, but this month, the judge may begin the unusual process of placing the Oakland Police Department into federal receivership because it has repeatedly failed to complete court-mandated reforms. According to the latest report issued on January 17 by the Independent Monitoring Team, a group of former law enforcement officers that performs quarterly audits of OPD's reform efforts, the department has made virtually no progress over the past two years and is currently further behind on meeting the requirements of the consent decree than it was fifteen months ago. The monitoring team's report, which covers a period from July through the end of September, highlights deficiencies with OPD's use of force reporting policy, internal affairs investigations, the collection of data from vehicle stops, field investigations and detentions, the consistency of internal discipline, and the ability of supervisors to ensure subordinate officers act according to departmental policy. Following the monitoring team's most recent report, civil rights attorneys John Burris and Jim Chanin, who represented the original plaintiffs in the Riders case, suggested in a court filing that Judge Henderson consider appointing a federal master to take control of OPD. "The past year has exhausted our patience," Burris said in an interview. "The question is: Has Judge Henderson exhausted his?" In the court filing, Burris and Chanin stated that the approach to the consent decree taken by Oakland officials and OPD over the past decade has not worked: "The OPD's lack of progress in attaining compliance makes it very unlikely the OPD will achieve compliance in the current extension period which ends in January 2014. If the City is allowed to pursue its 'business as usual' approach, it is a virtual certainty that millions of dollars will be wasted and no compliance will be achieved." Chanin and Burris are asking Henderson to set a date and briefing schedule for the filing of a motion for receivership. 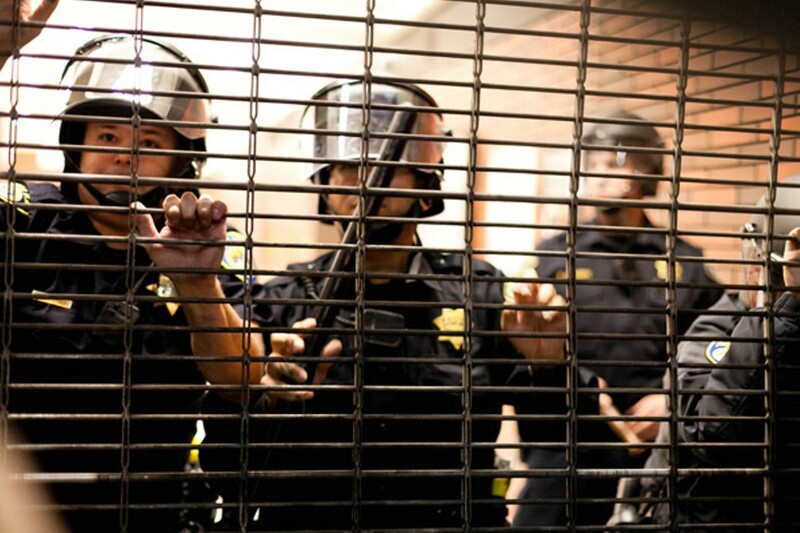 The attorneys argue that the need for receivership stems from the "grave danger" facing Oakland residents, visitors, and workers from OPD's continued violations of the consent decree — including the crowd control fiasco at Occupy Oakland this past fall. Oakland officials, however, are yet again pleading for more time to meet the court-mandated reforms. In a filing last week, City Attorney Barbara Parker wrote that newly-appointed leaders such as City Administrator Deanna Santana and Interim Police Chief Howard Jordan are committed to fulfilling the reforms and have reassigned personnel to conduct policy audits and have increased training. While acknowledging the monitoring team's repeated reports of stagnation, Oakland officials maintain that the city's "overall record since 2008 demonstrates a steady effort to work through many institutional obstacles impeding compliance" and warrants more time to comply with the court requirements. In a statement for this story, Jordan said: "As chief, I am committed to moving my department forward and I accept the responsibility of the task at hand." Federal receivers have previously been appointed in other states to desegregate schools, reform correctional systems, and rectify problems with mental health and general health-care services both in prisons and on a municipal level. The most pertinent example for OPD is the six-year receivership of the California Department of Corrections and Rehabilitation's prisoner health-care services, which was ordered by Judge Henderson in 2006 after a three-year battle over court oversight. The corrections department experience with receivership has cost California taxpayers billions of dollars and resulted in the transfer of tens of thousands of prisoners from state to county custody in the process now known as realignment. Prison Law Office Director Don Specter, who helped bring the case that evolved into receivership of California's prisoner health-care system, said the receiver contributed greatly to the reforms. "It certainly sped up the improvement more than if the state had been left to its own devices," Specter said. Judge Henderson essentially put the receiver in charge of the health-care system, granting the ability to hire and fire personnel, build new facilities, and allocate money without bureaucratic delays as well as protect the prisoner health-care funds from budget cuts ordered by the governor. Specter believes appointing a receiver for a police department could work "in theory" because it has worked with a wide range of public and private institutions. In Oakland's case, if Judge Henderson appoints a receiver to take over the police department, he would be stripping a tremendous amount of power from the city administrator, the police chief, and the mayor in terms of personnel and financial decisions. One telling example from the corrections department case was the receiver's ability to discipline and hold individual employees accountable. OPD has had problems terminating officers only to see them hired back through labor arbitration. However, it is not clear whether a receiver would have the ability to override an arbitrator or even re-negotiate contracts with the Oakland police union. Setting the stage for the discussion of appointing a receiver also could take months. In the meantime, there is a pressing need for OPD to address problems in several areas, including crowd control tactics, uses of force, and tracking arrest data. In a letter submitted to Judge Henderson, Jordan assured that he has demoted and reassigned officers under investigation. "Those persons that do not voluntarily assume those responsibilities and our cause will be personally held accountable to me," Jordan wrote. "There is some indication of cultural change in OPD," Chanin conceded in an interview. "However, it's still one of the biggest problem police departments in the United States. "No matter what we do, until we get these individual officers in trouble, nothing's going to change," Chanin continued, adding that he and Burris will put more pressure on individual officers such as John Hargraves and Sergeant Clifford Wong. 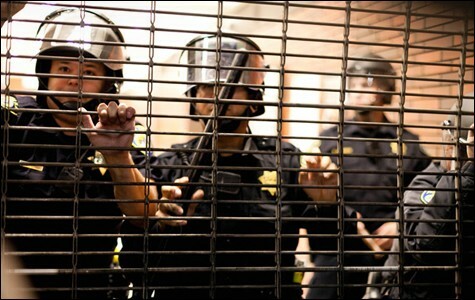 During an Occupy Oakland protest on November 2, Hargraves was videotaped with a piece of duct tape covering his badge. Hargraves was suspended for thirty days and Wong was demoted from lieutenant for failing to report the incident to internal affairs. The lack of a strong police chief in Oakland — or any sort of continuity in the department's leadership over the past decade — has by all accounts greatly contributed to the failure of the consent-decree mandated reforms to take root in OPD. Perhaps a federal master could provide the consistency, guidance, and, most importantly, independence from Oakland's fractious political infighting needed to bring OPD into the 21st century.